Hikmet Sidney Loe teaches art history at Westminster College in Salt Lake City. 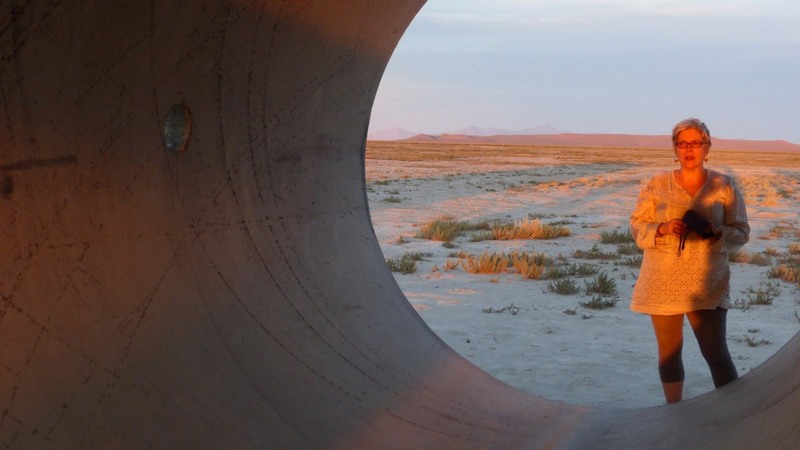 Her research on Robert Smithson’s earthwork the Spiral Jetty has led to her cumulative work, The Spiral Jetty Encyclo: Exploring Robert Smithson’s Earthwork through Time and Place (forthcoming, as are several book chapters on the earthwork). She contributes regularly to the online magazine 15 Bytes (artistsofutah.org) and has essays included in the online sitemappingslc.org. Exhibition catalog essays were commissioned of Loe in 2013 for Utah Biennial: Mondo Utah (Utah Museum of Contemporary Art) and Plurality: Frank McEntire in Retrospect (Snow College University), and in 2014 for No One Site (The Leonardo and the School of Architecture, University of Utah). 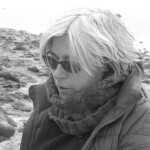 She has curated exhibitions at Westminster College, Finch Lane Gallery (Art Barn), and The Museum of Modern Art Library, New York; lectures frequently; and exhibits photographs related to the land. 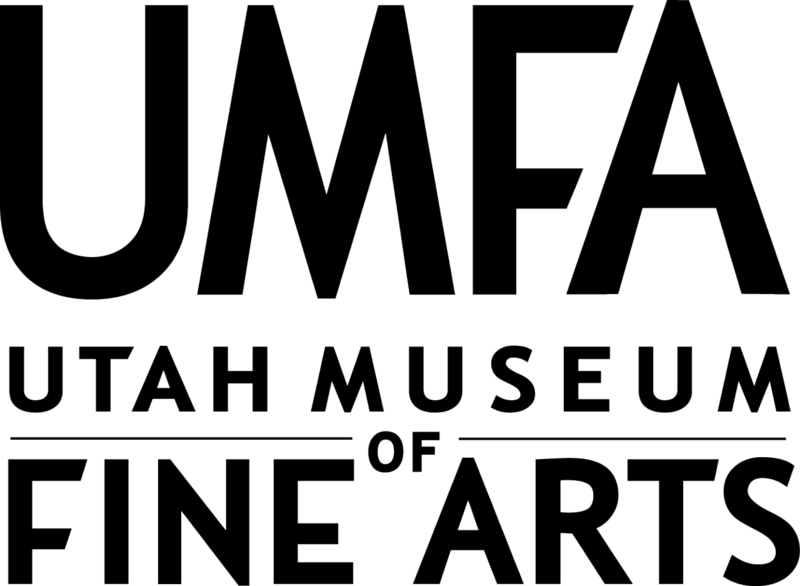 Hikmet is a cherished member of the arts and environmental community in Utah. Congratulations, Hikmet, on this well-deserved award. You should know that almost every time we talk, I learn something new and interesting about Great Salt Lake or land art. Thank you for your passion—which is inspiring, contagious, and educational. There’s a photo of you etched in my mind (it’s lovely and so appropriate): you, bathed in evening light from Sun Tunnels. It is a rare person who puts others before themselves, who connects people, who follows their conscience and heart to make the world a more interesting place. 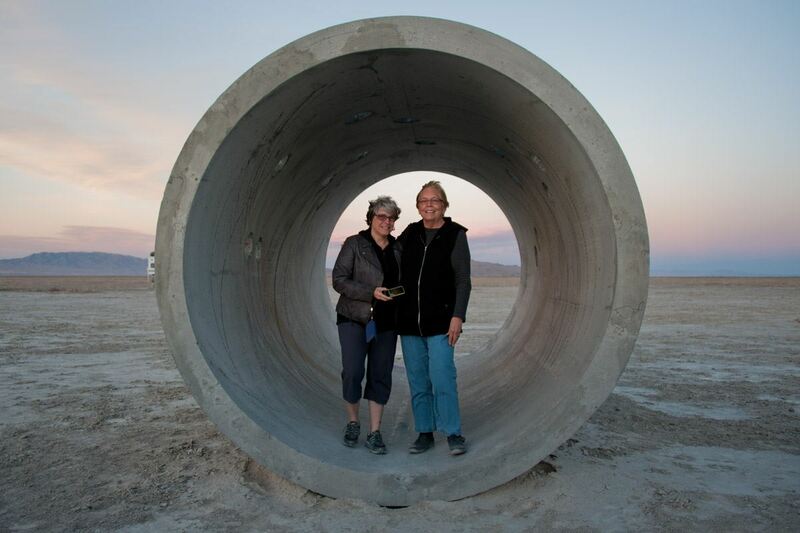 Over the years, Hikmet Sydney Loe has shocked me with her tireless energy and enthusiasm for the people and places dear to her–Great Salt Lake being one of them. She is an unselfish scholar, a delightful sprint, and I am lucky to call her a friend. Hikmet is a community treasure for her dedication to broadening understanding of the lake as an inspiration for art and a force in the lives of those who live on or near it. I was privileged to be her colleague at the Utah Humanities Council while she was writing her book about the Spiral Jetty. Her enthusiasm encouraged me to take a trip to see the Jetty for myself, where I was struck by the quiet beauty of the lake in an entirely new way. Hikmet has been the Jetty and the lake’s tireless lover, Interpreter, champion, and historian. Kudos to her! Hikmet Loe is a great friend of all of the natural and human communities of the Salt Lake Valley. Her scholarship is rooted in the beauty of this unique place and its distinctive artistic heritage. She works tirelessly to promote appreciation of the lake and the arts across the Salt Lake Valley. Three cheers in appreciation of all Hikmet has done to teach us all the value of our salty place as reflected in the world of art. Thanks for your commitment to the aesthetic of Great Salt Lake! 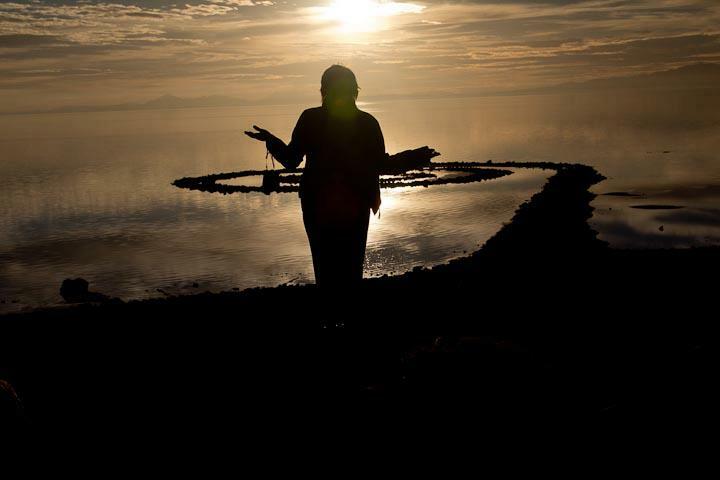 Hikmet Loe’s knowledge of The Spiral Jetty is not only encyclopedic but also passionate. That combination of fact and emotion makes her a Very Special Resource! Hikmet is wonderful! In my work with her, she has always been willing, engaged, and dynamic. She is an important contributor to the arts community and is a skilled collaborator and researcher. Utah is lucky to have her. Along with a killer sense of fashion, Hikmet truly encompasses a charm and confidence that most people would be jealous of. She brings a lively energy to the Westminster campus: to colleagues, faculty, and (most importantly) the students. Her presence is invaluable—and for that—I am so lucky to call her a co-worker and friend. Kudos to Hikmet for this wonderful honor. We love working with Hikmet and our paths cross often – both in town and on the desert! I’m especially grateful to Hikmet for the many, many students she brings to the UMFA. Hikmet is a wonderful and engaging educator – and we so appreciate the interaction she facilitates with our Museum and her fabulous students. Thanks Hikmet for helping me look and listen to the Lake in a very different way.